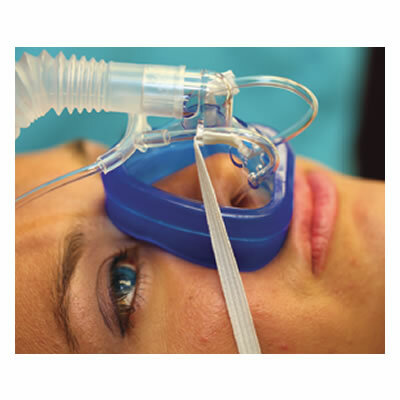 The Safe Sedate dental nasal mask is a single patient use, disposable nitrous oxide delivery system that will replace your existing standard nitrous oxide rubber goods and nasal hoods—which can often be challenging and time consuming to disinfect. This innovation in administering nitrous oxide reduces leakages, meaning major benefits for you and your staff. When used as directed, the Safe Sedate dental nasal mask system has been tested and shown to significantly reduce the exposure of nitrous oxide in dental offices. The specially designed system administers nitrous oxide exactly where it’s needed, and evacuates any residual gas that is not inhaled. The more precise gas administration helps you better meet government compliance regulations for leakage and also ensures the safety of your staff and patients.